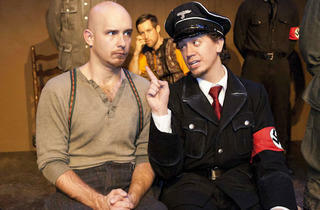 Brecht’s satire of the Third Reich underwhelms in a new production by the nascent Red Theater. 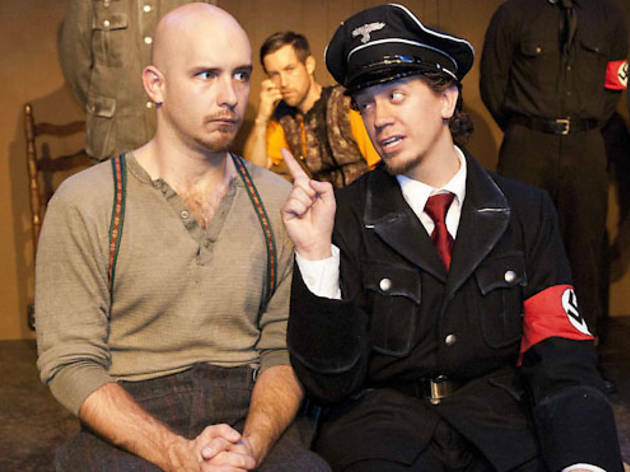 I can’t say what Bertolt Brecht had in mind for his portrayal of Adolf Hitler when he wrote this satire on then-current events in World War II, but I doubt it resembled the halfheartedly employed, zany Avenue Q–style felt puppets sparingly used in Red Theater’s ambitious but underwhelming inaugural production. Unable to control his observations on tyranny and logical faults within the Third Reich, layman dog breeder Schweyk (Kevin Cox) lands himself in and out of trouble with the Gestapo during his quest for a mutt for a high-ranking Nazi official. Tepid original folk music by Nicholas Davio and Mike Evans does little to bolster the production’s lagging sense of purpose or innovation.